Gurgaon real estate has experienced constant growth in the last couple of decades. Some of the top real estate companies in India have invested in Gurgaon, triggering a demand for real estate in the city. From residential, to commercial, to retail, Gurgaon has undergone remarkable levels of development. Real estate companies in Gurgaon have redefined architectural excellence with new age construction and a modern skyline. Gurgaon is highly feasible for property development because of the establishment of top MNC’s and IT companies in the city. Its realty market generates high demand because of the office spaces in Gurgaon, along with its residential and retail structures. Another reason which works in the favor of real estate companies in Gurgaon is that it is in close vicinity to the airport, as well as the national capital of India, New Delhi. There are a number of modern housing complexes and planned residential areas which are encouraging buyers to choose Gurgaon as their permanent residential address. Luxurious bungalows, condominiums and plush apartments make Gurgaon a posh address. Real estate companies in Gurgaon want to reap the benefit of this substantial growth. Property rates in Gurgaon have increased a lot over the past few years. 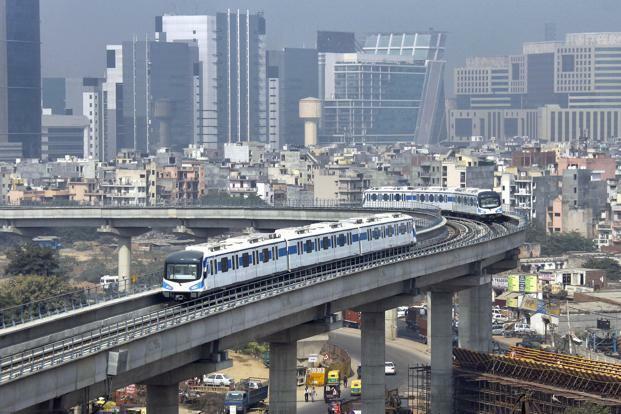 Gurgaon’s world class infrastructure has placed it among the best cities of the country. An eight lane national highway and Delhi Metro have added to the glory. It is a metropolitan city equipped with all the hi-tech amenities of the modern world. This makes it a good corporate destination, with amazing office spaces in Delhi/NCR. Most multinationals have found the perfect city to have their head office and branch office. The city has now become the commercial hub of the country. Development of various schools, colleges and professional institutions have turned Gurgaon into a city which provides ample educational opportunities. Good transport facility connects the city well with the neighboring states, as well as the national capital. The city has enhanced its position as being a world-class real estate destination. Its connectivity as well as state-of-the-art office spaces, give Gurgaon an edge over other cities. This entry was posted in Real Estate Development and tagged Gurgaon real estate, office spaces in Delhi/NCR, office spaces in Gurgaon, Real estate companies in Gurgaon on October 12, 2014 by Admin.